Yesterday, in a press conference held by the UAAP and the DLSU Office of Sports Development at the 4th Floor of the Henry Sy Sr. Hall, DLSU Green Archers head coach Aldin Ayo announced his resignation from his position. Ayo made the surprising announcement in the presence of Danding Cojuangco, his coaching staff, various media groups, and his championship team. Ayo made coaching history in a span of two years. In 2015, he led the Colegio De San Juan Letran Knighs to the NCAA Championship, defeating rival San Beda Lions en route to ending the Knights’ decade-long title drought. 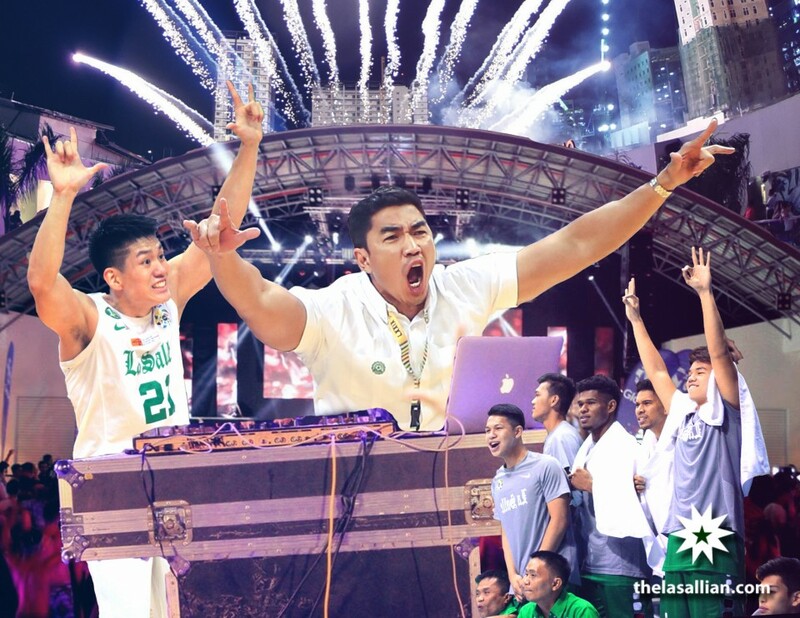 A year later, he was put in the reigns of the Green Archers and implemented his system popularly known as “mayhem”. The Green Archers thrived with his system, recording an almost perfect elimination round record of 13-1 and eventually bringing the UAAP Men’s Basketball Championship back to Taft. Ayo mentioned that his experience with La Salle was worthwhile, that it helped him become the man who he is today. He explained that he will always call DLSU his home since it is where he saw himself grow the most. That, however, wasn’t the end of the press conference as the Sorsogon native continued. He will go by the stage name “DJ Mayhem”, keeping his UAAP experience with him in his new venture. Ayo knows that the road will be tough, that it may be harder than bringing a new team to a championship. “Gusto ko mag-international, pero realistic ako. It will be a long process and patience ko ma-tetest.” Despite coming in to the Manila night scene as an old head amongst younger spinners, he is positive that the experience will give him thrill. “I’m surprised, but I’m happy for him making a big decision. He has been more than a coach for me, he has been a father figure. I hope to see him when I go to Valkyrie,” the forward said.